This is the eighth installment in the new series of releases initiated by the Polish Radio, which presents archive Jazz recordings. Radio recordings are always a fabulous source of remarkable material, and as far as Polish Jazz history is concerned, the Polish Radio, which was a state monopoly for 45 years, recorded over time a plethora of invaluable material, which apart from the albums released by the Polskie Nagrania record company (also a state monopoly), is the only additional source of Polish Jazz recordings. For many years Polish Radio recorded concerts presented during Poland's most important Jazz venue, the annual Jazz Jamboree Festival and many other festivals as well. The material collected here presents recordings made during 1961 and 1962 by the top Polish Jazz musicians active at the time, exhibiting a wonderful panorama of the local scene at the time. All the thirteen tracks are Jazz standards performed by Jazz musicians all over the world and therefore the album is a superb opportunity to compare the level of musicianship of the first post WWII generation of Polish Jazz to their American and European counterparts. Listening to the album immediately shows that technically these players were as gifted and skilled as any other Jazz performers at the time, despite the disadvantage of living and playing behind the Iron Curtain and being almost completely isolated from the current developments. Stylistically Polish Jazz at the time was still very much under the American mainstream influence, and although Free Jazz was already making a rapid progress and breaking all the established boundaries in the US, it would take a few years until it bloomed in Poland as well. The material was recorded by four iconic figures of the early Polish Jazz and their respective ensembles: pianist / composer Andrzej Trzaskowski and his quintet, saxophonist / composer Zbigniew Namyslowski and his quintet called Jazz Rockers, vibraphonist / composer Jerzy Milian and his quintet and trumpeter / composer Andrzej Kurylewicz and his group. The most renowned sidemen include saxophonist Michal Urbaniak, pianist Wojciech Karolak, bassist Roman Dylag and many others. The performances are all excellent and their invaluable historical significance is beyond reproach. Beautifully restored sound quality and a warm ambience of the analog recording is a true joy. As usual with this series, which is very reasonably priced, I miss the presence of "in depth" liner notes / booklet, which should convey the circumstances at which this music was recorded and its importance to the development of Polish Jazz. Nevertheless this is an essential piece of history which every European Jazz fan will surely consider an absolute must. 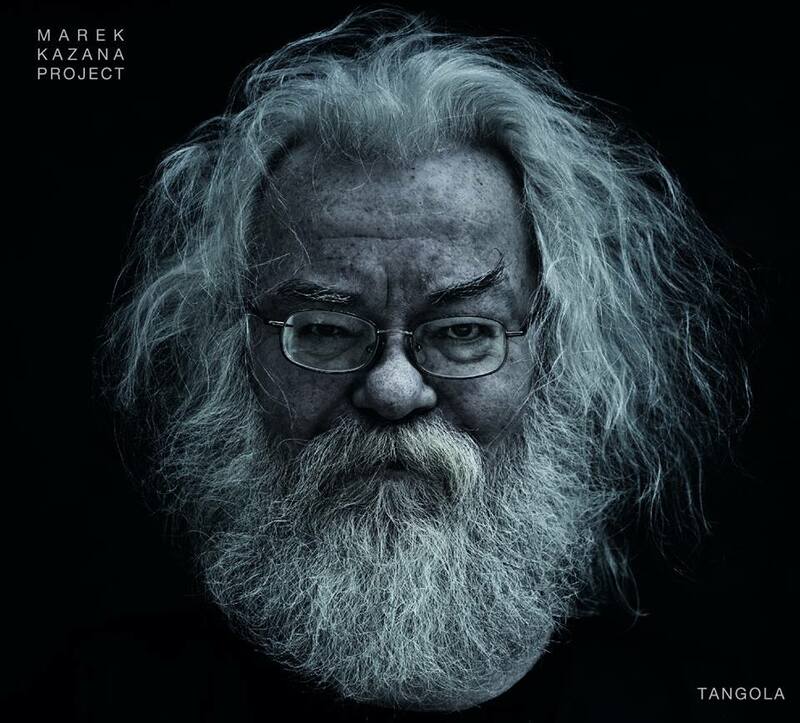 Polish musician / composer Mikolaj Trzaska is an iconic figure on the local scene and one of the most influential trend setters in the last two decades. Starting with the pioneering ensemble Milosc, which defined the concept / genre called Yass, shaking the local scene profoundly and making many musician to re-examine their paths and return to experimentation and exploration, which was always associated with the Jazz idiom. 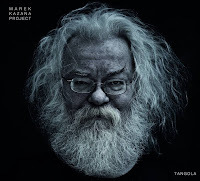 In time Trzaska became one of the leaders of the Polish musical Avant-Garde / Free Jazz / Improvised Music movement and by mid-2000s he shifted his attention again discovering the Jewish musical tradition and incorporating it in his milieu. The music included on this album was created as a soundtrack of the sinister thriller directed by Wojciech Smarzowski and called "Dom Zly" or "The Dark House" in English. Therefore listening to the music separated from its cinematic reference is a priori problematic or at least should be judged by completely different set of parameters. 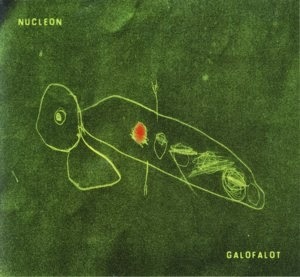 The album includes ten tracks most of which are sub-divided into several sub-motifs, which together create a collage of short themes following each other rapidly. The music was created by a quintet with Trzaska playing saxophones, clarinets and keyboards, with cellist Clementine Gasser, pianist Tomasz Szwelnik, bassist Clayton Thomas and drummer Michael Zerang. Not all the players participate on all the tracks and Trzaska is the primary performer as well as the composer of all the pieces. Stylistically the album covers a wide range of diverse sub-genres, like Musique concrète, Ambient, Free Jazz, Experimental, Industrial and other avant-garde soundscapes. There is very little melodic content per se or conventional soloing or playing for that matter. Like with abstract painting, where the Artists uses patches of shapes and colors combining them on a canvas and playing with their aesthetic relationships on a two-dimensional plane, Trzaska plays with sounds and tones and time, to create a sonic "picture" in the listener's brain, which either works of doesn't, depending on the listener, his momentarily moods and reflections. It works for me, but it might not work for others. This music is obviously not for everybody, not even for most people who listen to music on a regular basis. Many listeners might enjoy this as part of a cinematic experience, heard in the background, but might find this extremely difficult on its own. This does not mean, of course, that Trzaska is not entitled to experiment and do his own thing – au contraire he should be praised for doing just that. A healthy Culture has always space for being different and the ability to embrace those who are different. Life would be simply unbearable if everybody would just play the same music. Shofar is an ancient Jewish instrument, usually made of ram's horn, which has been part of the Jewish tradition since its origins. It is mentioned in the Bible frequently and was used to announce holidays and other special events, but later on the sound of the shofar has been also associated with Jewish mourning for the destruction of the Temple and the Diaspora. Hearing the intense and deeply moving sound of the shofar is a mitzvah for any Jewish person. In the contemporary Hebrew language the word Shofar has an additional meaning, referring to a means of communication spreading ideology, bearing news and expressing the opinion of a group of people. It can be a person (announcer, spokesman, representative) or a medium (newspaper, radio station, etc.). Regardless of the motivation, which stood behind naming the Polish ensemble Shofar, in retrospect it somehow encompasses both of the meanings of the idiom. Founded by guitarist Raphael Roginski, who also leads the excellent ensemble Cukunft, the trio also includes the iconic musician Mikolaj Trzaska and drummer Macio Moretti. This is their debut recording, which consists of their unique interpretations of six pieces taken from the enormous collection of the great Jewish ethnomusicologist Moshe Beregovsky and two famous Jewish liturgical pieces. The sound of the trio amalgamates several quite diverse backgrounds: Roginski's guitar and Moretti's drums have a distinct Rocky feel whereas Trzaska is deeply embedded in Jazz and Improvised Music. However, there is no clash whatsoever here and the musicians manage to create a unique and quite specific ambience, which transforms the traditional Jewish music into contemporary world of musical expression, without trivializing it in the process, which is often done by the numerous Polish so called Klezmer ensembles, which often never go anywhere beyond being a chaltura (i.e. a worthless and artistically insignificant enterprise). The onset of Shofar, which followed in the footsteps of Cukunft, announced (like a shofar does) the Renaissance of the contemporary Jewish music in Poland, that in retrospect turned out to be a most fruitful and fascinating development on the local scene, which is exploding with activity in many other musical areas as well. Is spite of the fact that there are practically only very few Jews living in Poland these days, the Jewish Culture, which bloomed on the Polish soil for almost a thousand years, has been apparently implanted into the local cultural fabric so deeply that even the Holocaust didn't manage to destroy it. The seeds planed in that soil are now breaking out with an astonishing vitality. Both Roginski and Trzaska were about to create many other Jewish-related projects later on, including a second album together. But beyond the historical significance of this album, this is also superb music. 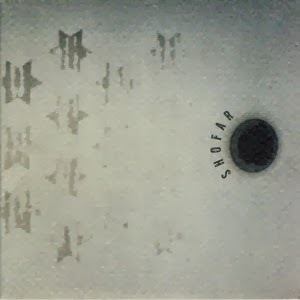 The vitality and intrinsic joy of the Eastern European music passes over with full glory to the world of sound created by Shofar, which is also full of reflection, mystery and melancholy, mixed with the humor and ecstasy eminently present in Jewish music. The individual statements by these three musicians are of course first-rate but their magic exists primarily as members of the collective ensemble. This album, although recorded only less than a decade ago, is already a part of a classic statement made on the Polish Jazz scene, opening a new chapter of the convoluted Jewish-Polish cultural (and otherwise) relationships, made in memory of the countless shofar blasts that reverberated over the Polish soil in the past Millennium. This is the third album by Polish Jazz pianist / composer Witold Janiak, and his debut recording in the piano trio format. There are actually two different trios present on this album, one with bassist Wojciech Pulcyn and drummer Cezary Konrad and the other with bassist Andrzej Zielak and drummer Kamil Miszewski. All the tracks were recorded at the excellent Studio Tokarnia and engineered by Jan Smoczynski, which guaranties the highest sound quality. The album includes nine tracks, all of which are, as the title suggests, famous movie themes arranged by Janiak for the piano trio. Playing cinematic music in a Jazzy manner is of course a treacherous ground, since such projects have been attempted numerous times in the past, and by the absolute top Jazz players all over the world. Therefore the idea is hardly innovative or original and anybody attempting such a project has to be prepared to offer some bonus values, like extraordinary virtuosic performance or highly inventive arrangements. Sadly this album offers none of the above. Of course Janiak and his rhythm sections are skilled players with years of experience behind them, which results in excellent performances, but the music lacks sparkle and inspiration. This is painfully evident on the trio's interpretation of Krzysztof Komeda's theme from Rosemary's Baby, which has been performed incessantly by other Polish Jazz musicians. Overall the album presents some pleasant and well played piano trio Jazz, but fails to cross over into prominence. This is the eights album by the multi-national Jazz-Rock Fusion ensemble called Loud Jazz Band, which was founded in 1989 in Poland by guitarist / composer Miroslaw Kaczmarczyk and a decade later moved to Norway. 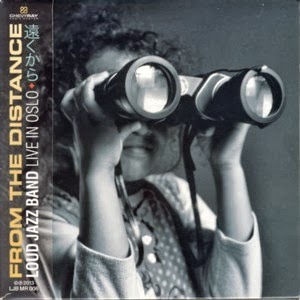 The current edition of the band includes musicians from Poland, Norway and Bulgaria and the octet lineup which recorded this album includes, in addition to Kaczmarczyk the following players: trombonist Erik Johannessen, saxophonist Wojciech Staroniewicz, pianist Oystein Skar, keyboardist Piotr Iwicki, bassist Kristian Edvardsen, drummer Ivan Makedonov and percussionist Maciej Ostromecki. The album, which was recorded live, includes seven original compositions by Kaczmarczyk. After listening to just a few moments of this music, it becomes immediately apparent that this is a highly professional ensemble of skilled and experienced musicians, playing polished arrangements of very melodic music spiced with very impressive solo spots. The music, perhaps not very challenging or adventurous, is nevertheless skillfully put together and "easy on the ear", sounding simply beautiful and pleasant. And yet this is far from being elevator music or God forbid muzak, even if it sounds "nice"; on the contrary, it is simply perfectly designed to fit a precise niche of what is usually referred to as the "easier side of Jazz". If Pat Metheny can play this kind of music, and be universally praised for it, why not the Loud Jazz Band, especially if they are at least as good? The sound quality of this album, especially in view of the fact that it was recorded live, is simply stunning and the balance and separation between the instruments and overall ambience are truly magnificent. This album should be used in all the Hi-Fi stores to test the audio equipment. The album is also beautifully and tastefully designed and packaged, suiting well the music it contains. 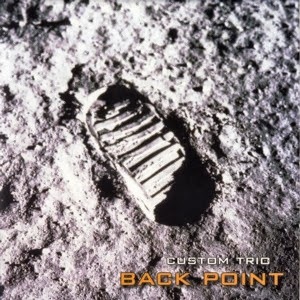 For people listening to more melodic Jazz / Fusion this is a true gem! 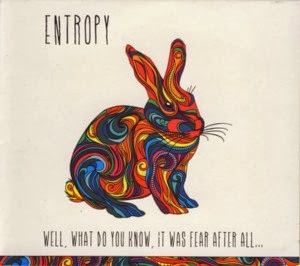 This is the debut album by the young Danish / Polish Jazz-Rock Fusion quartet Entropy, one of the numerous ensembles formed by students at the Academy of Music in Odense, Denmark. Many Polish students choose to attend the Odense school as it is quite close to Poland and much more affordable than for example Berklee Collage of Music in Boston. Entropy comprises of three Danish musicians: saxophonist Andreas Moller Bottiger, guitarist Buster Jensen and bassist Martin Buhl, and one Polish musician: drummer Radek Wosko. The album includes nine original compositions, four by Jensen, three by Wosko and two by Bottiger. The music is pretty conventional, with well defined structures, melodic statements and improvisations, all neatly put together and without any major surprises or unexpected twists. The overall atmosphere is quite melancholic and some of the compositions move at a very slow paste and with little intrinsic dynamics. The personal statements by the musicians are also quite restricted, lacking any signs of virtuosity or exceptional abilities, except for the drummer, who displays a clearly defined personal style and manages to keep the music flowing, as well as provides the best compositions on the album. Nevertheless, the album has its moments and altogether is quite listenable, but lacks the sparkle and magic, which so many albums by young musicians are blessed with these days. Perhaps these young musicians need to play together a bit longer and clarify the musical direction before embarking on a next recording project. I'm sure they can do better next time. 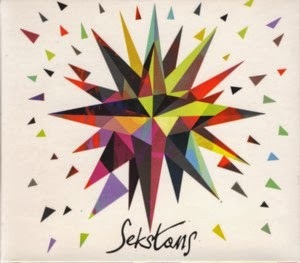 This is an excellent debut album by the young Polish Jazz sextet called Sekstant and originating form the Baltic Tricity, founded and led by saxophonists Lukasz Juzko and including saxophonist Piotr Checki, trumpeter Dawid Lipka, pianist Szymon Burnos, bassist Maciej Sadowski and drummer Tomasz Koper. The album comprises of seven original compositions, two of which (the opening and closing tracks) are improvised pieces, three are composed by Juzko and one each by Sadowski and Koper. As usual with the young Polish Jazz ensembles the music crosses all possible boundaries and is almost impossible to be neatly categorized. On top of the obvious Jazz tradition there are traces of Rock and even Punk (especially in the somewhat hassle-free attitude), Free Jazz and even Improvised Music excursions and many other elements, which of course make this music fascinating and unpredictable. The usage of electric piano and the brass arrangement on certain pieces take the ensemble close to Jazz-Rock Fusion, but then electronics and Ambient elements remind the listener that this is 21st Century and music is constantly changing and expanding its idioms. Underlying these stylistic explorations, the compositions present solid melodic themes, which are all quite impressive. Both the individual abilities of these players and their collective cooperation are very impressive. As usual it's hard to believe that these are such young players only starting their musical life's journey. The open-mindedness and personal courage to explore non-trivial music and eschew mediocrity are truly admirable. I eagerly anticipate the next step on this ensemble's path, which in view of this promising debut could be even more thrilling. In the meantime this is a true little gem, which should give Jazz connoisseurs a most pleasurable listening experience. Well done! This is the second album by Polish Jazz vocalist Krystyna Stanko and her debut recording with the group (0-58), which placed her as a co-leader with guitarist / composer Maciej Grzywacz and bassist / composer Olgierd Walicki. The group also included accordionist Cezary Paciorek and alternating drummers Cezary Konrad and Grzegorz Grzyb. Saxophonist Adam Pieronczyk guests on two tracks. The album includes nine original compositions, four each by Grzywacz and Walicki and one by Stanko with lyrics all written by Stanko. Musically the album presents a process of searching after a unique identity, which takes the musicians exploring many different avenues, such as Blues, chanson, alternative Pop and of course Jazz. The songs are very diverse in their tempi, moods and melodic ranges and the album keeps changing quite dramatically between one song and another. Listening to the album is like embarking on a journey with destination unknown. On the whole the approach is acoustic and rather intimate. The instrumentalists perform splendidly, improvising extensively between the vocal parts. Grzywacz and Walicki both play some outstanding instrumental parts as do the guest soloists. Stanko is theatrical and somewhat reserved, perhaps still not aware or her formidable vocal ability, which will flower on her later recordings. In retrospect this is a very interesting document of the Polish Jazz scene at the turn of the Millennium. Obviously the young generation of musicians is looking for something different than the mainstream tradition and with Yass paving the way in the previous decade, everything is open and nothing is taboo any more. The album is unfortunately out of print since many years and it took me ages to track a copy down – lucky me! This is the debut album by Szczerbate Zajaczki Trio, a Polish Jazz piano trio from the city of Torun. It consists of three young musicians: pianist Bartek Staszkiewicz, bassist Robert Rychlicki-Gasowski and drummer Wojciech Zadruzynski. The album comprises of eight compositions, two of which are standards and the remaining six are original compositions by the pianist or by the entire trio. The piano trio is of course a most demanding format and therefore any recording by young musicians just entering the world of music is unfortunately often compared to the masterpieces of that format, which is hardly fair. In Poland, which has many fabulous pianists and extraordinary piano trios, the competition on the local scene is even tougher. Therefore one must try and listen to this introductory effort with an open mind and proper proportions. There is no doubt that these musicians have a lot of potential and talent, both as players and as composers. The original music presented here is all quite interesting and well formed, being the strongest advantage of this album. Mostly low-key, it displays the typical Polish Jazz melancholy and Folklore roots, which are deeply implanted in most Polish composers. The actual instrumental and improvisational qualities of these young players are yet to be fully developed and sound a bit naïve at times, but definitely nothing they should be ashamed of. It is simply a matter of experience, both technically and mentally, until a musician is able to express himself at his full capacity. Overall it is definitely a worthy debut, which is a pleasant listening experience, and which hopefully will be followed soon by a much more mature musical project, which I look forward to hearing. 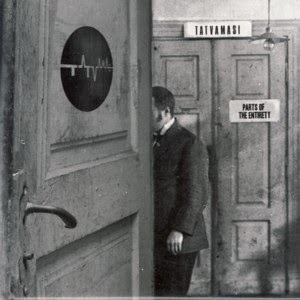 This is the debut album by Polish quartet Tatvamasi, led by guitarist Grzegorz Lesiak, which also includes saxophonist Tomasz Piatek, bassist Lukasz Downar and drummer Krzysztof Redas. The album comprises of seven original instrumental pieces, all composed by the leader and was released by the prestigious US Cuneiform label, one of the world's leading labels specializing in new cross-genre music, with an impressive catalogue of releases. This makes Tatvamasi one of the very few young Polish groups to earn international attention already with their debut album, which is quite impressive. Although the leader's background and personal history spin a fascinating tale, the listener should judge the music as it presents itself herein. A cross-genre creation indeed, this music escapes classification and easy categorization, which is actually quite a common phenomenon, especially among the young Polish ensembles, which surprisingly pop up on the local scene with astounding vitality and incredible talent. Tatvamasi are no different and again it's almost impossible to believe that this is a debut recording and a work of such young artists. The music shows traces of what started many decades ago as British Jazz-Rock Fusion, amalgamating Jazzy improvisation and Rocky rhythmic patterns. Of course this music is as contemporary as it gets, standing firmly within today's music as far as the overall ambience and dynamics are concerned, paying respectful tribute to its origins. But beyond Jazz–Rock there are plenty of other influences present, often very diverse from each other, like Punk, World Music, Ambient, Minimalism and of course Free Jazz and Improvised Music. Considering the fact that this music was recorded practically live in the studio with no overdubs and other studio wizardry, what we hear is what happened, with the creative flow being captured on the fly. The personal contributions by the four musicians are all commendable; the leader weaves some truly beautiful melody lines and memorable riffs; the saxophonists manages to float high above during his improvisations and the rhythm section keeps the often difficult music in check, driving the dynamics and leading the way securely through the many twists and turns. The album is a breeze of fresh air and a great fun to listen to. The diversity of the pieces, which are mostly quite extensive, keep the listener on his toes at all times. There is so much happening here that several listening sessions are necessary to really "get" this music at its full bloom. Of course listeners used to improvised music will be able to appreciate this music instantly. This is a most impressive debut release, promising interesting future and establishing once more the Polish scene as one of the leading sources of new and fascinating music. Very well done indeed! This is the second album by the Polish Custom Trio, which consists of saxophonist Krzysztof Kapel, bassist Marcin Oles and drummer Bartlomiej Brat Oles (collectively known as Oles Brothers – Poland's most respected Free Jazz rhythm section). Saxophonist Maciej Sikala guests on one track. In between the recording of their debut album and this one, the trio also recorded a couple of albums with the legendary trumpeter Andrzej Przybielski, one of them live with a different saxophonist (Janusz Smyk). The album includes eight original compositions, five of which were composed by Bartlomiej Brat Oles and the remaining three by Marcin Oles. For people familiar with the previous recordings by the Custom Trio will find this album quite surprising, as it is much more "docile" then any of their former work. The music is low-key, contemplative and very melodic, the rhythm section is relaxed and almost "conventional" and the saxophone improvisations, which are the focus of the album, although very Free Jazz in spirit, are all non aggressive and rounded. The overall sound and ambience of the album are very Coltranesque, which of course brings this album to a much wider potential audience, well beyond the Free Jazz buffs and into the modern mainstream. The individual statements are of course exceptional, especially those by Kapel, who emerges on this album as one of the most able Polish Jazz modernists. But of course the Oles Brothers firmly testify their amazing interplay and cooperation, which is as usual the driving force and solid ground upon which the saxophone solos are based. The album is full of virtuosity from start to finish and should satisfy even the sternest Jazz connoisseurs. It is a pity this album is rarely mentioned among the best Polish Jazz recordings originating from the first post Millennium decade, as it truly deserves. What a pity they did not continue to record any more such wonderful music. This is the second album by legendary Polish Jazz trumpeter Andrzej Przybielski with the Custom Trio, which consists of saxophonist Janusz Smyk, bassist Marcin Oles and drummer Bartlomiej Brat Oles (collectively known as Oles Brothers – Poland's most respected Free Jazz rhythm section). The music was recorded live at a coffee house in Bydgoszcz, a town where Przybielski lived and which is an important center of Polish Free Jazz / Improvised Music activity. They perform seven original compositions, all composed by Przybielski except one co-composed with Tymon Tymanski, another legendary Polish Jazz figure and the pioneer of Yass. Sadly the sound quality is truly sub-standard, almost certainly captured on a portable cassette recorder, which hampers the otherwise sublime musical experience. The music is of course simply magnificent, presenting the essence of Free Jazz at its absolute apex, performed with flair and complete dedication. Przybielski is at top form and his solos soar straight to heaven. The young and relatively little known Smyk also plays like there is no tomorrow, standing firmly shoulder to shoulder with the Maestro. The fabulous rhythm section drives the entire vehicle forward ceaselessly with outstanding energy and drive. In retrospect there are very few other Polish Jazz recordings of this kind, which can be considered similar in quality and importance. Just a decade after this recording was made Przybielski died, neglected, lonely and forsaken. His talent was never recognized and appreciated during his lifetime, his complex personality and behavioral abnormalities estranged him from society and of course the establishment. Like so many great Artists the recognition, albeit marginal, was absolutely too little, too late. Therefore this album is another important piece of the limited legacy Przybielski left us to remember him by and of course an essential piece of Polish Jazz history. This is the third album by Polish avant-garde Jazz group Nucleon, which consists of saxophonist Aleksander Papierz, guitarist Michal Dymny, electronics man Tomasz Gluc and drummer Jakub Rutkowski. Two guest musicians: trombonist Bronislaw Duzy and Marcin Gagola who uses FX (whatever special effects that means) also make an appearance. Their music is an amalgam of Jazz, Improvised Music, Rock, Ambient and Electronics, which somehow manages to sound sane and even make perfect sense. The album includes ten original compositions, which are mostly credited to the entire ensemble. Although the music is obviously rather free and spontaneous, there is enough melodic content and rhythmic sanity, which make it fairly effortless to listen to, albeit perhaps not by less experienced music connoisseurs. This kind of musical creation is all about group improvisation and close cooperation between the musicians, which are splendidly achieved herein. As a result there are a few solos per se and most of the music is worked out between the collective performances. And yet there is melody, stated mostly by the saxophone, harmony and clear rhythmic patterns, which are easy to follow. Paradoxically this truly "strange" music is simply "nice" and pleasant. Nucleon is just one of many superb Improvised Music / Avant-Garde ensembles active currently in Poland, and they certainly represent the renaissance of musical inventiveness, similar to what happened (on a different musical plane) to the early Polish Jazz after WWII. This phenomenon is heartwarming, especially at a time when Culture and Art are on the defense and retreat most of the time. This album requires several listening sessions in order to really get into it, but it only gets better each time it's played, so the process is really a pleasant experience. I had tremendous fun getting to know this album and enjoyed every minute of it. This is "weird" music in the best meaning of the term and wholeheartedly recommended to every serious music lover. Brace yourself for a ride! The Polish Innercity Ensemble is one of many experimental music groups, which pop up on the local scene like mushrooms after rain. The incredible beehive of frenzy activity, which encompasses the Polish improvisational music scene is a phenomenon of truly gigantic proportions, and most surprisingly unparalleled by any other country in the world. As usual in such a case, the quality of the music varies significantly, but the exploration and sense of urgency prevail universally. The group is a septet and the musicians come from several different Jazz, Rock and Ambient groups. The most dominant musician is trumpeter Wojciech Jachna, who is a member of the excellent Sing Sing Penelope. Not surprisingly, for those familiar with the Polish avant-garde scene, the album was recorded at the Mozg Club in Bydgoszcz, one of the epicenters of the improvisational activity. In addition to Jachna, whose trumpet is the leading voice of the album, the ensemble includes also two guitar players, three percussionists and one person using electronic devices. This unusual lineup dictates the overall musical direction of the proceedings, which basically features ambient and percussive background, with trumpet solos on top. There is limited melodic content and the music develops slowly, if at all, like in a meditative trance. The trumpet solos are, in contrast, quite spectacular. Although potentially interesting the album somehow leaves me cold, except for the trumpet solos. Lovers of Ambient and perhaps World Music originating in Far East will probably enjoy this music, others might enter the meditative mood and float with it, but for me this music simply does not go anywhere. Nevertheless I appreciate the energy and effort that went into making this album. 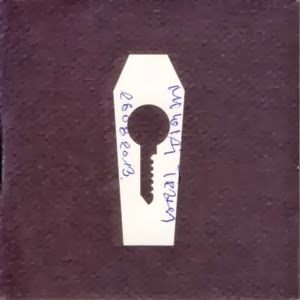 The Polish GAD Records label has become a treasure chest of archival recordings by Polish Jazz and Rock artists and in the short period of time since 2010, when the label released its first album, it established its position on the market as a dedicated and reliable source of interesting material. 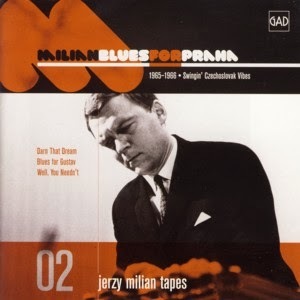 This album follows the already established pattern and is the second volume of archival material by legendary Polish Jazz vibraphonist / composer Jerzy Milian, one of the forefathers of modern Polish Jazz. The material collected here was recorded in former Czechoslovakia, Poland's southern neighbor, which had a wonderful Jazz scene as well at the time these recordings were made, i.e. 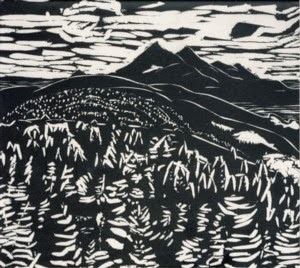 mid-1960s. For many reasons, which fall far beyond the scope of a record review, the cooperation between these two scenes was rather limited, and therefore this album is especially important, as it documents a little known chapter of Eastern European Jazz. Milian established collaboration with Gustav Brom, the founder and leader of the legendary Gustav Brom Orchestra, which was one of the best Jazz Big Bands in Europe at the time. He performed and recorded with the orchestra several times until the brutal Warsaw Pact invasion of Czechoslovakia in 1968, which put an end to the Prague Spring. The material collected here presents four studio tracks recorded by the Czech radio and three live tracks recorded a few months later. Two tracks are Milian originals and one was composed by the Gustav Brom Orchestra's bassist Milan Rezabek. The remaining four tracks are standards. The American trumpeter Ted Curson, who often visited Eastern Europe and recorded in Poland as well, solos along Milian on one track. All tracks feature extended solos by Milian and are a wonderful testimony to his virtuosic abilities. The orchestra also performs quite splendidly of course, even in the trickiest moments. The music is nor terribly innovative, moving within the established boundaries of Bee Bop and Cool, but is definitely well played. Overall this is yet another glace at the Polish Jazz history, which of course deserves to be remembered. With remastered and restored sound and informative booklet (including text in English), this album is definitely worth checking out by any connoisseur of European Jazz, looking for another perspective. This is quite an unusual project, which transfers fifteen Pop / Rock songs written in Poland in the 1960s, 1970s and 1980s into modern Jazz arrangements. The songs are performed by Jazz vocalist Janusz Szrom and a piano trio which consists of pianist Piotr Wrombel, bassist Zbigniew Wrombel and drummer Krzysztof Szmanda (see Soundcheck). All the songs have been intelligently arranged for the Jazz environment, sounding as if they were taken from the Standards songbook. 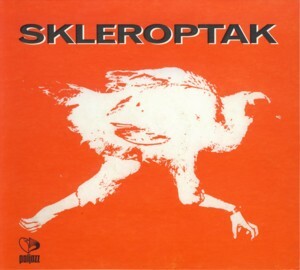 Of course for listeners, who are familiar with popular music originating in Poland at that period and performed by local superstars like Czeslaw Niemen, Breakout, Niebiesko-Czarni, Czerwone Gitary and other legendary performers, this album has also a strong nostalgic angle, which is not a priori negative. Most people living outside of Poland have very little knowledge about the incredible musical scene that flourished there during the dark days of the Socialist regime, State censorship and bureaucratic dictatorship, which often saw in Pop & Rock music the enemy of the "People" and much as a subversive force that endangered the very fabric of society. And yet, against all odds, Polish musicians and writers managed to produce an incredible amount of wonderful music, which sadly gets often forgotten these days, where instant success is the name of the game. Projects such as this one are a blessing, bringing this music back into life and showing how timeless true Art really is. Of course the Jazzy arrangements and execution change the original environment, in which these songs were born. However, due to the intelligent and careful approach demonstrated by this album's creators these songs still sound magnificently up to date, losing absolutely nothing of their original power and intrinsic beauty. As far as individual contributions are concerned, this album is full of simply splendid musicianship. Szrom sings with his usual confidence and expressiveness, Piotr Wrombel masterfully states the melodic themes and accompanies the vocals with exceptional sensitivity. Zbigniew Wrombel is a virtuosic bassist and his warm and full sound is the platform upon which the entire music stands. Szmanda, as usual manages to combine freedom of expression and a sixth sense of rhythm. Overall this is a wonderful album in every respect. Superb music, excellent performances, great sound quality and most importantly an obvious love and respect towards the subject matter. One can only salute these musicians for carrying this project out and for adding one more brick to the pedestal of Polish Cultural heritage. Hats off! 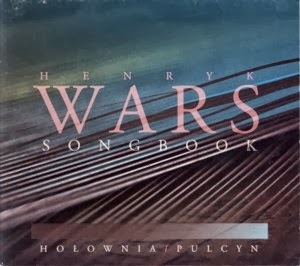 The great Polish (of Jewish origin) composer Henryk Wars (a.k.a. Henryk Warszawski) was one of the most important music personalities of the interwar Polish music scene. He wrote music for many Polish films made during that period and composed countless popular songs, which were performed by the top Polish singers. He was also the musical director of the first Polish record company Syrena Rekord, which produced many thousands of recordings during the period. In addition he also wrote several Classical compositions and was one of Poland's Jazz pioneers. Wars survived the WWII as a member of the Polish Army and after being demobilized in 1947 he emigrated to the USA, where he continued his music career, mostly as cinematic composer and songwriter until his death in 1977. Polish Jazz musicians: pianist Bogdan Holownia and bassist Wojciech Pulcyn present a selection of nine evergreens composed by Wars, with words by the best lyricists of the time, including the sublime poet Julian Tuwim, which during the interwar period were smash hits on the local scene. In an intimate duo format and stripped from the lyrics, these performances emphasize the melodic sensitivities of the composer, which undoubtedly stand up to all other popular music composers of that period, who produced the inexhaustible source of musical gems, called "standards" in Jazz. The performances by the duo are all kept in a low key and the improvisation is kept to a minimum, concentrating on the delivery of the melodic contents. Therefore as a Jazz album it is relatively limited, but as an important document of the Polish popular music history and a tribute to the great composer it's invaluable. The album will surely bring on some nostalgic moments from the older generation of listeners (sadly almost gone) and its primary role is to introduce this wonderful music to the younger generation, which should not forget the tradition, which is so full of musical treasures. Definitely worth investigation! The album was recorded at the excellent Studio Tokarnia and engineered by Jan Smoczynski, which of course means that the sound quality is super as always in such case. 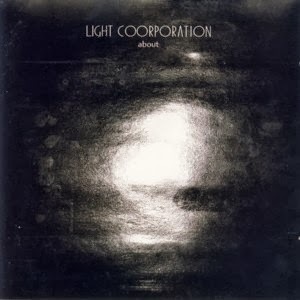 This is the third (in three years) album by Polish Progressive Rock / Jazz-Rock Fusion ensemble Light Coorporation, founded and led by guitarist / composer Mariusz Sobanski. 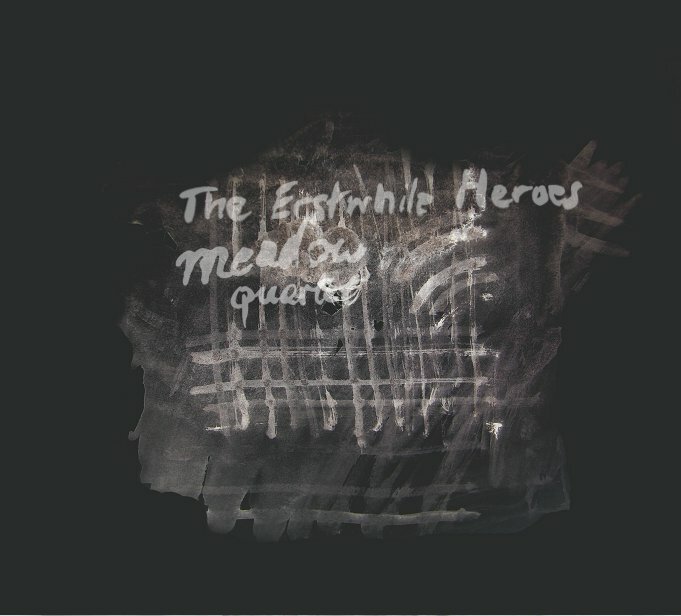 The ensemble is expanded to include twelve musicians, which more then doubles its size on their two earlier albums, and includes members from the earlier versions of the ensemble, like saxophonists Pawel Rogoza, Michal Pijewski and Michael Fetler, violinist Robert Bielak, keyboardist Marcin Szczesny, bassist Tom Struk and drummer Milosz Krauz, as well as others who play here for the first time. They perform ten original compositions, all by Sobanski, who also arranged it. The album was again released on the prestigious British ReR label, which stays faithful to its Artists. Musically this album shows yet another step forward for the group, which keeps changing like a chameleon, and yet retains a specific sound and feel, which by now are certainly their own. There is a shift from the earlier Prog and Ambient tendencies towards more Jazzy influences, which of course are emphasized by the expanded brass section and the appropriate arrangements. There is more of typical Jazz improvisation here, although rhythmically the music is still very much Rock based. The music is dark and moody as on the earlier albums, but also Funky and swinging at the same time. It appears that the ensemble is able to re-invent itself anew on every album, which is truly impressive. One can only hope that this can be repeated in the future. By now it is pretty obvious that Sobanski is a major force on the Polish music scene, which should not be ignored or dismissed haphazardly. He has proved not only his talents as player / composer / arranger but also as innovator and visionary, with a burning desire to create and develop further. His restlessness is a blessing and hopefully the harsh reality will not be able to block his creative powers. Having done a remarkable job third time in a row he truly deserves both recognition and support. This is the kind of music, which keeps my faith in aesthetics, intelligence and creativity in a world full of superficiality, banality and zero values. As already stated in my reviews of the two earlier albums, the music of Light Coorporation fails every attempt of categorization, since it is so original and unconventional on one hand and so encompassing on the other. As a result there should be something for everybody herein, regardless if the listener comes from Prog, Jazz or even contemporary Classical fields. This is simply great music, and as such needs no particular encouragement to be listened to. Just grab a copy of the album and listen – satisfaction guaranteed! Nowadays we often forget that jazz has always been as much music as life style. Stripped off all its existential features it looks rather artificial, kind of "new" classical music of Afro Americans, dream-come-true of Marsalis clan and others thinking alike. But for me, and for many people round this globe, jazz is first of all a big force changing, through music, our way of thinking. Opening our eyes. Our hearts. Our souls. Seen from this perspective playing it requires much more than good craftsmanship alone, it is a mission, destiny or even fate. Jazz musicians who were able to reconcile these two elements, the music and its meaning, were always among the most influential of their kind. First example of such an artist that comes to mind is of course John Coltrane. Incidentally saxophone player as is the leader of this ensemble Marek Kazana. Like Trane Kazana started pretty conventional by winning in 1979 Grand Prix at Jazz Nad Odrą Festival and joining Young Power, probably the most significant collective of young musicians in 80ties in Polish jazz. But like his famous predecessor at certain moment he turned toward spirituality, joined famous Free Cooperation band, and his style become more influenced by such free jazz players like Ornette Coleman or Albert Ayler. Political and economic collapse that took place in Poland at 80ties unfortunately hindered natural development of his career which resulted in almost no significant recordings made by this talented player in last decade or two. Therefore this album seems all the more important being one of rare opportunities to listen to Kazana at all! Regardless his little recording activity he was always deemed by other musicians as force to reckon with in Polish music. It allowed him to gather a very interesting team for this project. On electric double bass he is accopanied by long time friend Marek Mec, on tenor saxophone by young Tomasz Licak whose album "Trouble Hunting" was among Polish Jazz Top Ten 2012, and on drums by experienced Grzegorz Grzyb, a member of legendary Zbigniew Namysłowski ensambles, one of few drummers in Poland having his own, unique style, feeling equally at ease as much in mainstream as in free jazz. The experience and youth proved to be truly an explosive mixture producing one of the most outstanding recordings of recent years. Rooted in free jazz tradition, rich in Ornettian grittiness, in Albert Ayler marching rhythms, in Thelonius Monk angular harmonies, it is above all a testament to jazz as spiritual force. From first to last note packed with action, fresh, improvised but never chaotic, is successfully overstepping some technical difficulties and shows that jazz is capable, still, of transcending popular music into true and timeless art! After the release of their debut album "Unexpected" (which was reviewed by Maciej Nowotny on our blog: link) the band has been described as one of the most promising on the contemporary neo-klezmer scene. The music may not be as such unexpected as the title suggests. The same features could be found in the Radical Jewish Culture series from Tzadik Records. However, the way musicians combine improvisation with chamber music, not losing at the same time any natural expression of Jewish themes, is on one hand the most interesting and on the other, the most unexpected. Marcin Malinowski, the band leader, is consistently expanding the scope of his artistic pursuits. To illustrate this it is enough to mention the album Osvaldo Golijov: The Dreams and Prayers of Isaac the Blind recorded with a string quartet. What is more, he also took part in the recording of the new album of Bester Quartet, which has been recently released by Tzadik Records. Meadow Quartet – the winners of 16th Festival of Polish Radio Nowa Tradycja 2013 invited an excellent Lithuanian percussionist – Tomas Dobrovolskis to cooperate. This musician directs the music to a completely new areas. He is an inventor and designer of the new percussion instrument The Brass Globe, which allows to combine different techniques of playing drums (such as the djembe, tabla, darabuka) to one percussion instrument. In Europe he does a growing career. 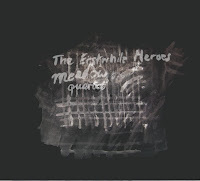 On the album The Erstwhile Heroes there are nine compositions of the band leader – Marcin Malinowski. These compositions performed in almost traditional klezmer orchestration, allow the listener to extract the timeless beauty composed to measure the early twenty-first century. Krakow Jazz Autumn is a festival that is international in character. It has been organised since 2006 in the Kraków district of Kazimierz by the Alchemia Cultural Centre Foundation and the Alchemia club, in cooperation with Not Two Records. It aims to present the wonders of the contemporary improvised music scene. Successive editions are organised annually from September to December. The artistic director of the series is Marek Winiarski. 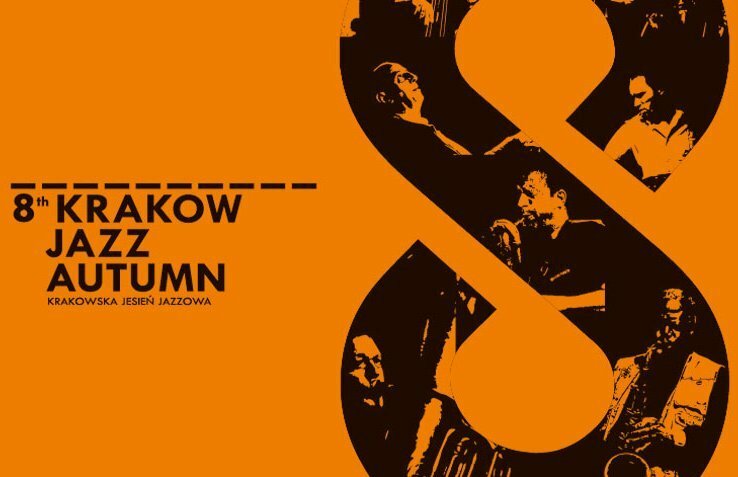 Autumn is nearing and with it the Krakow Jazz Autumn, a festival that in its 7 years of existence has established itself one of the most important festival scenes not only in Europe but around the world. Some of the most versatile and dynamic musicians of the improvised music scene today have starred at the festival, with Peter Brötzmann, Anthony Braxton, Barry Guy and Ken Vandermark taking the lead, giving both concerts and also as artists-in-residence. In addition to these jazz legends, younger artists at the cutting edge of modern improvised music are also returning to the city. Mats Gustafsson, one of the most important improvisers of his generation in the eyes of many critics, is coming to Krakow at the head of the twelve person orchestra. Gustafsson has played on the Krakow festival stage many times; with the saxophone, star formation, Sonore and renowned band, The Thing. This year, he is here with a select formation, not seen nor heard for almost a decade on the international scene, the NU Ensemble. Consisting mostly of Scandinavian musicians, the formation includes renowned rhythm section Ingebrigt Haker-Flaten and Paal Nissen-Love from The Thing and tube virtuoso Per-Åke Holmlander. The line-up is completed by distinguished guests from other countries; Austrian DJ, Dieter Kovačič (known as dieb13), Catalan pianist, Agustí Fernández, and two fine musicians from the United States representing the new generation of improvisers; trumpeter Peter Evans and saxophonist Joe McPhee, living legend on the free-jazz world scene. Following a 2 year break, Ken Vandermark’s Resonance will play in November, a group very important in the festival’s history and one which embodies one of the essential aspects of the festival, namely, the creation of artistic events between artists from different countries. Over 6 years in existence, the US-Swedish-Ukrainian-Polish band, has become one of the most important, regularly playing ensembles on the improvised music world stage. It was however, here in Krakow that the group was born. Their first recordings were made here, recorded by Krakow’s Not Two Records as part of an impressive 10 disc box set that documented the work of both small formations as well as a great orchestral finale. Not only about concerts, workshops and musical presentations, for years the event has gathered together the most important representatives from the media: famous journalists, prestigious magazine editors and festival organizers from throughout Europe and the world. Since last year, these people have also acted as panelists in the Contemporary Music Agenda - an institution established as a forum to discuss the most interesting directions of musical development, its place in the media and its most effective means of promotion. The Hammond B-3 Organ is one of my all time favorite musical instruments, with endless reminiscences overflowing my mind every time the unique sound starts buzzing in the air. Scores of superb albums were recorded using the B-3 over the years, not only in Jazz but also in Rock of course, and hundreds of keyboardists used the instrument over the years, which in time achieved a legendary status. In addition, the Hammond B-3 / guitar cooperation (in duos and trios mostly) has a fascinating tradition in Jazz from way back in the 1950s, which is still very much alive and kicking today. Therefore listening to this album was quite an emotional journey for me. 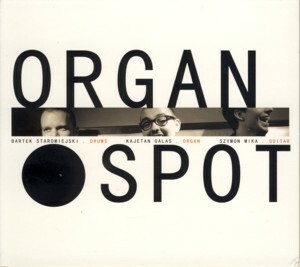 Organ Spot is a trio comprising of three young Polish Jazz musicians: organist Kajetan Galas, guitarist Szymon Mika and drummer Bartek Staromiejski. The album consists of seven tunes, five of which are Jazz standards and two are originals, composed one each by Mika and Galas. Not surprisingly the album was recorded at the excellent Studio Tokarnia and engineered by the studio owner and himself a fellow Hammond "brother in arms" Jan Smoczynski. The wonderful sound quality and ambience is one of the key factors which makes this album such a sweet gem, as Studio Tokarnia has a wonderful ability to create a truly "retro" sound, which resembles classic Jazz recordings for such legendary labels as Blue Note. Watch out for the worn-out LP gap between the tracks in one case, which gives a hint as to the "retro" intensions herein. The performances by all three trio members are spotless and incredibly well balanced. There are no ego trips here and they all play together respectfully listening to each other and supporting each other. Although the organ is obviously the center of attention on this album, the listeners should definitely pay attention to the incredible guitar parts, which are truly invigorating. Some great guitar players must be smiling in Heaven hearing this stuff. Musically this album is not looking for innovation or breaking new ground; it's all about keeping a wonderful tradition (sonically, stylistically and aesthetically) alive, and doing it in a fresh and interesting way. This album is every inch as good as any similar music produced anywhere else, which speaks for itself as far as the talents and abilities of these young musicians are concerned. Having respect for the tradition, studying and preserving it, are not self-understood these days and are definitely something to be praised and appreciated. Overall this is as close to a perfect mainstream Jazz album as it gets; it is honest, well played, sounds great and most Jazz connoisseurs can enjoy it in full. Definitely a most impressive debut! Following his debut recording with his piano trio, released a year earlier, Polish Jazz pianist / composer Michal Wroblewski returns with a new and much bolder project involving a Jazz quartet playing with a symphony orchestra. The album includes eight compositions, all originals composed and arranged by Wroblewski. 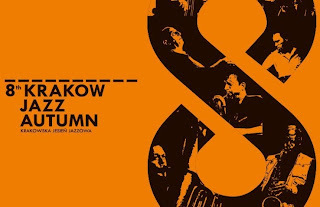 Seven of the compositions were recorded by a quartet comprising of Wroblewski, saxophonist Maciej Obara, bassist Michal Jaros and drummer Michal Miskiewicz and accompanied by the Polish National Radio Symphony Orchestra in Katowice conducted by Szymon Bywalec. The eighth track was recorded live at the Polish Radio Three, without Obara and with drummer Pawel Dobrowolski replacing Miskiewicz and the Gorzow (Wroblewski's home town) Philharmonic Orchestra conducted by Krzysztof Switalski. The amalgam of Jazz and contemporary Classical music is quite a common phenomenon on the Polish Jazz scene, definitely more so than anywhere else in the entire world. There are many reasons contributing to this reality: the classical music education that many young musicians are exposed to during their studies, the openness of classical orchestras and their conductors to cooperate with Jazz musicians, the "higher" status of Classical music, which challenges Jazz musician to prove they can embrace the format and improve their standing in the music community and many others. Regardless of the motivation behind them, such projects are very popular and often result in excellent achievements. This particular project presents the "easier" side of the Jazz-Classical Fusion, with a series of beautifully melodic pieces, excellently performed by the quartet and with the orchestra staying mostly in the background, playing the "second fiddle" (pun intended). One can speculate that this music would have sounded great without the orchestra being present; therefore the role of the orchestration seems a priori to be relatively limited. This is not to say that the overall result suffers from the orchestral arrangements, but on the other hand their contribution remains relatively restricted with little synthesis between the two elements, except perhaps for the last piece on the album, which is the most successful on that front. The individual contributions by the players are all splendid, especially those by Obara, who exhibits a truly magical touch and heartbreakingly beautiful, soulful sound of his alto saxophone. Wroblewski plays also very well, with a both elegant, delicate solos and lively up tempo arpeggios, but concentrating mostly on stating the melodies. The rhythm section drives the music steadily and provides the basis, which holds the music together. Overall the album is great fun to listen to and is accessible to a large audience, including music lovers with little Jazz familiarity or those listening mostly to Classical music. I wrote briefly about the Power of the Horns on the occasion of their Warsaw Summer Jazz Days concert and I promised that I'd write more soon. "Alaman" is not only group's debut release but, with the number 001, it's also the first position in the catalogue of a new polish jazz music label ForTune, a quick view on their list makes you sure the guys are serious about publishing good music. Power of the Horns is led by Piotr Damasiewicz whose responsbile for the compositions and for conducting the group that gathers together some of the hottest names on the polish modern jazz scene. They've been performing together for a couple of years, gaining a big, if underground, reputation, the official release was in fact long overdue. Just to write down the names of the band members it seems like half of the review is done, this in fact a BIG band - five horns, three drummers, two basses, a piano - that's a high-decibel versatile tactical unit. The Horns referred by the group's name are the wind instruments, as one might think at first, but the bull's horns, like the ones you'd find on a Viking warrior's helmet. "Alaman" is a name of the group of german tribes that would attack the western lands of Roman Empire. As the jazz evolved, big orchestral groups were a challenge for any composer - to expand the palette of sounds, to enrich the expression of an individual espression and to civilize the tones. 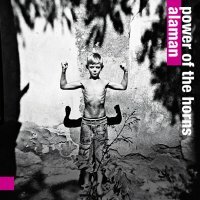 Power of the Horns are the Allemani of jazz - young warriors trying to fight the civilisation. The cd/dvd is comprised of three monumental pieces "Alaman", "Troid" and "Psalm for William Parker". The musis is at the same time monumental and rebelious. Damasiewicz compositions are based on infectious grooves and majestic vamps which emerge from the mysterious mists of meditative sounds and dissolve within the ecstatic madness of ferocious solos. The tunes and rhythms are irresistible and the bands walks the fine line of balance between arranged and spontaneous, between choir war-songs and individual explosions. There are speedy bop lines, solemn tunes, energetic riffs, percussion fiesta, fiery horn cries as well abstract impressionism (special recognition to Dominik Wania who manages to carve his own space in between the horns and rhythm section). If you like like huge sound, this will not leave you dissapointed. What is more important though, Power of the Horns' music is not only about power - there's a vision behind it and means to realise it. Those guys are wild yet well organized - civilized jazz doesn't stand a chance against the Allemani tribe. 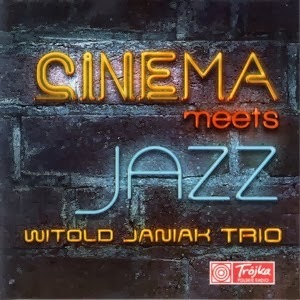 This album features the Polish Jazz trio called simply The Jazz Trio (probably the most unreasonable name one can adopt in such circumstances), which consisted of saxophonist Janusz Brych, pianist Marek Piatak and drummer Michal Zduniak. The pianist composed four of the five compositions present here and co-composed the fifth with the saxophonist. Although little know and mostly forgotten, this is, in retrospect, quite an excellent and unusual album, which Polish Jazz connoisseurs should definitely seek out. The music is a very strange amalgam of melodic, pre-composed intriguing music, mixed with excellent saxophone improvisations, which are very Free Jazz oriented and superbly executed. Sometimes the saxophone parts are overdubbed, which creates an even stronger "wall of sound" effect, common in Free Jazz. Also the absence of bass, which dramatically influences the sound of the music, contributes to the "strangeness" and of course transfers the responsibility of keeping time towards the piano player and the drummer, who is quite unusual as well. The overall result is definitely fresh and surprising, quite different from what was happening on the local scene at the time. Perhaps it was an early precursor of the Yass scene, which was about to explode in Poland shortly after this album was recorded. The overall level of individual virtuosity as well as the interplay between the three musicians makes this album a hidden gem, which simply begs to be discovered. It is a pity they never recorded together again (as far as I know) as the trio certainly had the potential of becoming one of the hottest groups on the Polish Jazz scene. But, alas, we'll never know what might have happened. In the meantime let's enjoy what we can hear! The material presented on this album was recorded in Belgium but presents the great veteran Polish Jazz saxophonist / composer / arranger / bandleader Jan Ptaszyn Wroblewski, who contributed his beautiful compositions and arrangements and plays as the principal soloist. He is accompanied by the Belgian (Radio & TV) BRT Jazz Orchestra, directed by Etienne Verschuerena, which includes many wonderful players, including internationally known keyboardist Bob Porter and drummer Bruno Castelucci. Wroblewski, who was also the director of the Polish Radio Jazz Studio Orchestra during the years 1968-1978, recorded these compositions earlier with that orchestra, but these new renditions sound quite different from the earlier versions, being more "polished" and "rounded". The Polish orchestra was in fact a collection of top soloist whereas the Belgian orchestra is a full-fledged professional Big Band, which is much more about the overall band sound than individual solo spots. As a result the music captured here is a beautiful example of European Big Band sound, which is quite different from the American counterparts. Overall this is a splendid Big Band album playing excellent music, interesting arrangements and featuring some great solo spots. Although pretty mainstream, this is elegant music, full of European aesthetics, which is completely ageless and sounds now every bit as great when it did at the time of its release. Big Band enthusiasts should have a field day with this excellent piece of music, which is again back in circulation. The material presented on this album originates from two separate LPs released by the Poljazz label, each contributing one side of the original LP. The logic behind it is that the original Poljazz releases often included two sides of completely unrelated material, artificially combined for a variety of reasons, mostly economic. These two sides of two separate LPs are connected by the central personality behind the music, the Polish Jazz saxophonist / composer / arranger / bandleader Jan Ptaszyn Wroblewski. Wroblewski was the founder and leader of the band S.P.P.T Chalturnik, which was formed in order to present Jazz with a humorous and tongue in cheek attitude, featuring well known standards as well as original material by the leader. The band included the absolute crème de la crème of the Polish Jazz scene: saxophonists Janusz Muniak, Zbigniew Namyslowski and Tomasz Szukalski, keyboardist Wojciech Karolak, bassist Bronislaw Suchanek and drummer Czeslaw Bartkowski. The wonderful arrangements and whimsy performances are all brilliant, especially in view of the fact that they show that Jazz doesn't have to be treated always so seriously. 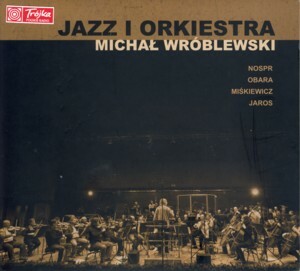 Wroblewski was also the director of the Polish Radio Jazz Studio Orchestra during the years 1968-1978, which was one of the most important incubators and places of refuge for the young Polish Jazz musicians under the Socialist regime, providing them with a steady income. The orchestra performs a very ambitious piece of music composed by the young pianist Jan Jarczyk called "A Double Concerto For Five Soloists And Orchestra", which features as soloists top Polish Jazz players of the time: violinist Zbigniew Seifert, saxophonist Tomasz Szukalski and Janusz Muniak and trumpeter Tomasz Stanko. Legendary American drummer Stu Martin also participates in the recording. The music is a very interesting example of early Orchestral Jazz works, which combine contemporary Classical techniques with Free Jazz improvisation.